We recently had the opportunity to attend a 50th Anniversary dinner in the luxury Stormont Hotel to celebrate 50 years of ownership by Hastings Hotels. The evening was a great success and we were lucky enough to have a room booked, which proved very handy as it meant we could both enjoy the delicious wine which was paired with all eight courses and not have to designate a driver between us! The 4 star Stormont Hotel, located on the upper Newtownards Road, is only a few minutes drive from Belfast city centre and overlooks the impressive Stormont parliament buildings in the beautiful grounds of Stormont Estate and the surrounding woodlands. The hotel has had several renovations and extensions over the years and they still strive to keep the hotel at the peak of it’s game, in fact they had just completed a new bar only a few hours before we arrived. We arrived at the hotel about an hour before we were due to have dinner and were able to find a parking space easily as the hotel has a very large car park. We were faced with the impressive glass fronted building and couldn’t wait to go inside. When we walked in we could see and hear a bustling new bar in the foreground and guests sitting in an adjacent lounge area. We went to reception and were greeted with a very friendly receptionist who checked us in and wished us a fabulous evening and stay. We stayed in a Double Superior Room which had a very comfortable King size ‘cloud’ bed. The room was simple and classic and had all the usual amenities including tea and coffee making facilities, a hairdryer, an iPod docking station and a laptop safe. There were two comfortable armchairs beside a coffee table which displayed a ‘Welcome’ plate with a piece of carrot cake and fudge. I have to be honest, these didn’t last 30 seconds and they were delicious! There was a lovely set of ESPA complementary toiletries and a little Hastings Rubber Duck awaiting us in the En Suite shower room. The walk-in shower featured a reviving rain head shower plus a separate re-positional shower head too. The shower was fabulously powerful and was the perfect start to the next morning, helping to wake us up fully! We were guests at a fabulous dinner celebrating 50 years since Sir William Hastings purchased the Stormont Hotel. The food was absolutely delicious and we can’t wait to go back so we can dine from the menu in La Scala Bistro at the hotel. 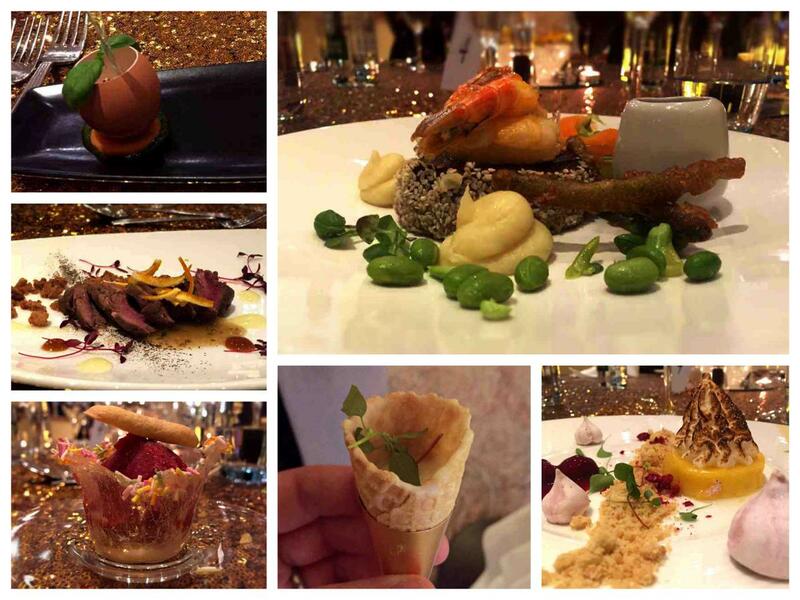 We enjoyed several courses including Duck à l’Orange, a Trifle Sorbet, Salt Aged Fillet of Beef with Prawns, and a Lemon Meringue Tartlet. I don’t think we could fault any part of the meal, each element was cooked perfectly and the attention to detail in the presentation was fabulous. You can read all about our meal here. 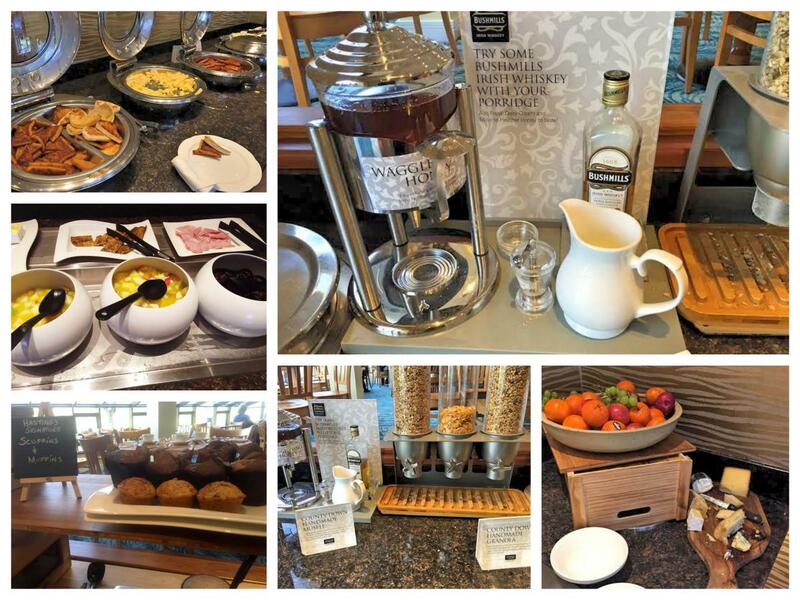 The breakfast was served Saturday morning between 7am and 10.30am and was a celebration of local produce. There was apple juice from Armagh, yoghurt from the Clandeboye Estate near Bangor, milk from Farmview Dairies in Belfast, porridge oats from White’s in Tandragee, and sausages from Carnbrooke Meats in Dromara to name a few. We had a cooked breakfast with scrambled eggs, baked beans, potato bread, Irish soda bread, and sausages, and it tasted absolutely delicious! The sausages were incredible, and were flavoured with spices and local Mourne Heather Honey – quite possibly the nicest sausages we’ve ever had! We finished up with a fruit salad and a speciality muffin. You can read more about the food provenance at the Hastings Hotel group by visiting tasteofhastingshotels.com. 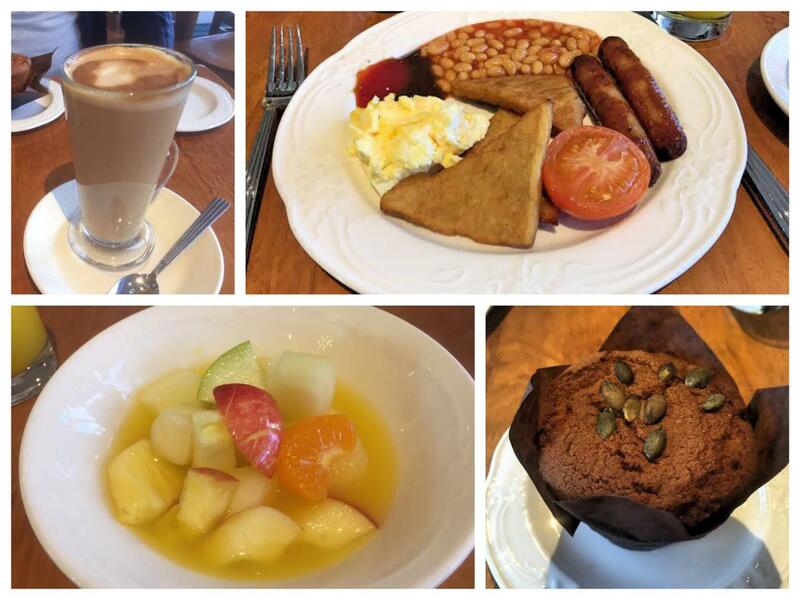 After such a filling breakfast we were ready for a lovely walk around Stormont Estate which is across the road from the hotel. 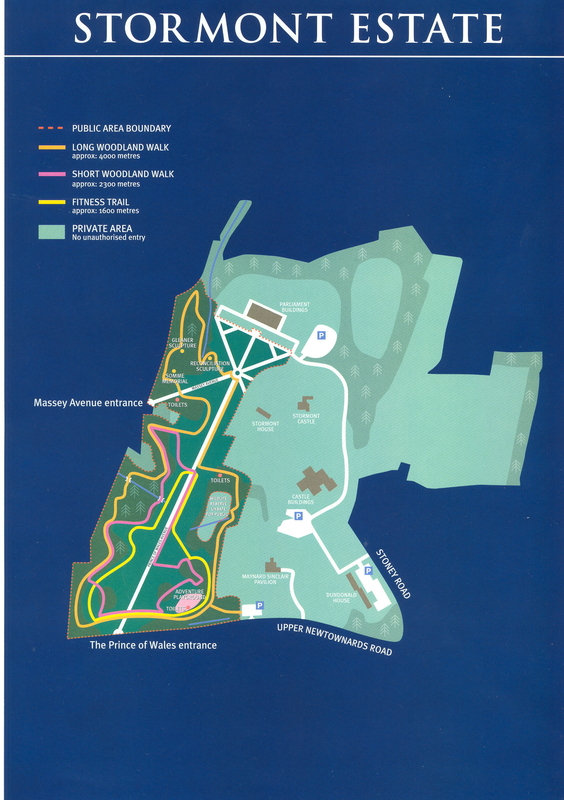 Stormont Estate is a popular tourist attraction and contains woodland walks and walking trails (see map of trails). 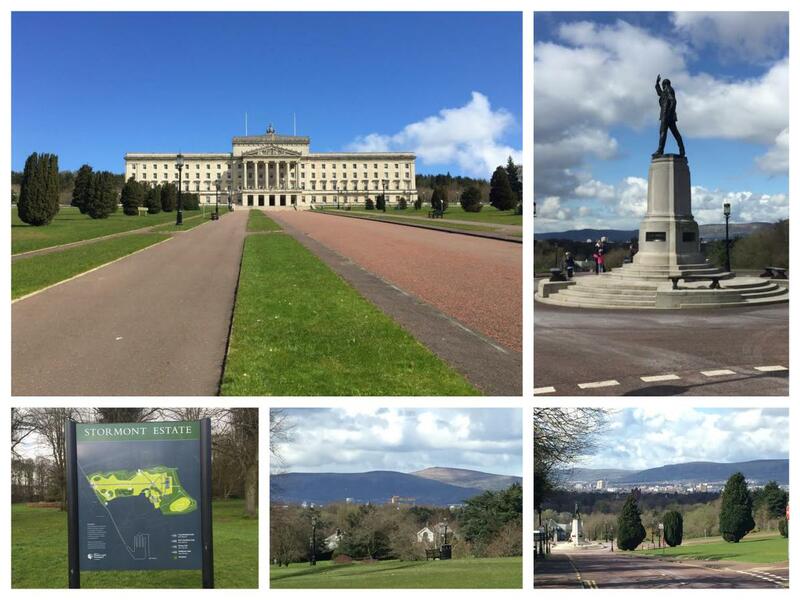 It was our first time walking through the estate and we loved the panoramic views of Belfast and beautiful architecture of the Parliament Buildings. 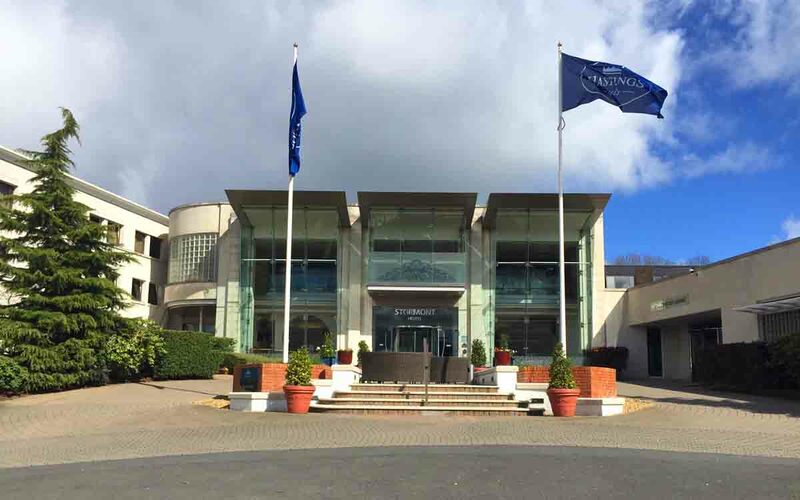 We saw a lot of golfers staying at the hotel and we weren’t surprised as located just 2 minutes away is Knock Golf Club, host of the Irish Professional Golf Championship in 1964 and 1968. The course is overlooked by Stormont Buildings and Stormont Castle. The hotel is also close to the popular Holywood Golf Club, home of Rory McIlroy, and Royal Belfast Golf Course, Ireland’s oldest golf course. 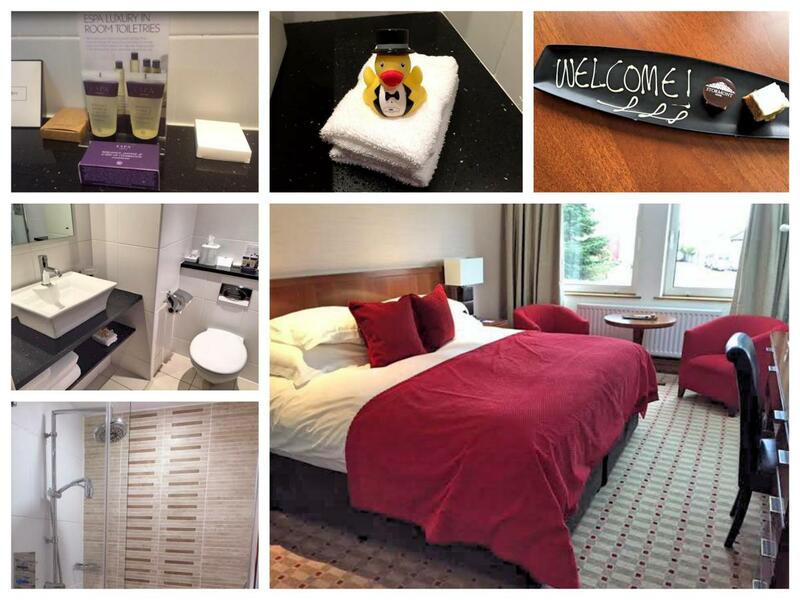 If it’s a golfing break you’re after, the Stormont Hotel would be a great base! The Stormont Hotel is just a short drive from Belfast city centre which offers many things to do and places to eat and drink. Our short video below shows a few of the things on offer in Belfast city centre, including the Grand Opera House, the Ulster Museum and Titanic Belfast. 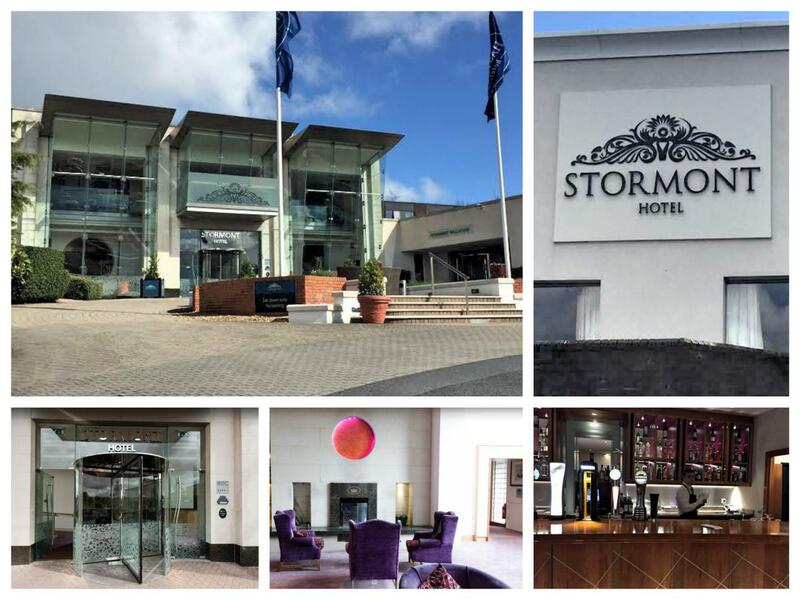 Have you dined or stayed in the Stormont Hotel? Tell us about your experience by commenting below or connecting with us on Facebook and Twitter.